I came across a frustrating problem today. I’d just finished processing a large tabular cube (SQL Server 2012), which had taken 11 hours in total. On trying to connect to the cube to test it, I’d made a schoolboy error; The database was named correctly, but the model inside it was named MyCubeName_Test instead of MyCubeName. No problem, I’ll just right click the cube in SSMS and rename it. Well, no, there is no option to rename a model, just the database. I didn’t fancy doing a full reprocess, but luckily a little digging in the xml files presented a solution. For anyone that missed my presentation at SQLBits 8 in April, the video is now available here. In this 1 hour session I present a method of automating the creation of documentation for SSAS OLAP cubes by using DMVs (dynamic management views) and spatial data, querying the metadata of the cube in realtime. The results include the BUS matrix, star schemas, attribute lists, hierarchies etc. and are all presented in SSRS. One of the most useful aspects of a Business Intelligence system is the ability to add calculations to create new measures. This centralises the logic of the calculation into a single place, ensuring consistency and standardisation across the user base. By way of example, a simple calculation for profit (Income – Expenditure) wouldn’t be provided by the source database and historically would be implemented in each and every report. In a data warehouse and/or cube we can create the calculation in a single place for everyone to use. This post highlights some of methods of doing this, each with their respective pros and cons. SSAS provides a ‘Calculations’ tab in the cube designer which allows you to create new measures using MDX. You can use any combination of existing measures and dimension attributes, along with the plethora of MDX functions available to create highly complex calculations. There’s a layer in-between the data warehouse and the cube called the data source view (DSV). This presents the relevant tables in the warehouse to the cube, and can be used to enhance the underlying data with calculations. This can either be the dsv layer within the cube project, or I prefer to create SQL Server views to encapsulate the logic. Whilst bringing in data from the source data systems, it sometimes makes sense to perform calculations on the data at that point, and store the results in the warehouse. You have to be able to alter the structure of the data warehouse, which isn’t always an option. If the calculation is valid for a single record, and it would be of benefit to have access to the results in the warehouse, then perform the calculation in the ETL pipeline and store teh results in the warehouse. If the calculation is valid for a single record, and it would not be of benefit to have the results in the warehouse, then calculate it in the data source view. 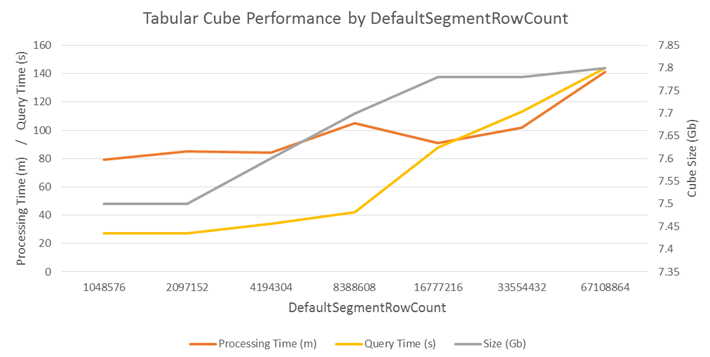 If the calculation is too complex for SQL, requiring MDX functions, then create an MDX calculated measure in the cube. This is the 3rd and final post in this series of blog posts, showing how you can use SQL Server Reporting Services (SSRS), DMVs and spatial data to generate real time automated user guide documentation for your Analysis Services (SSAS) OLAP cube. UPDATE: I presented a 1 hour session at SQLBits 8 covering this work, you can watch the video here. In this post, I’m going to enhance the measure group report to include a visualisation of the star schema. To do this I’ll be enhancing one of the stored procedures to utilise SQL Server 2008’s new spatial data types combined with SSRS 2008 R2’s new map functionality. To do this we’ll update the dbo.upCubeDocDimensionsForMeasureGroup stored proc so that it returns a SQL geometry polygon for each row, in the right place around the circumference of the star. There’s a little math in this, but nothing more than a bit of trigonometry. First the theory. We have an arbitrary number of dimensions that we need to place in a circle around a central point (the measure group). If we have 6 dimensions, then we need to divide the whole circle (360 degrees) by 6 (=60 degrees each) to get the angle of each around the hypothetical axis. Therefore the first dimension needs to be at 60, the second at 120, the third at 180 etc, with the 6th at 360, completing the full circle. Obviously the angle needs to vary depending on the number of dimensions in the query, so we need to calculate it within the stored proc. To do this I’m using common table expressions (CTE) to perform further calculations on the basic query. We wrap the original proc query into a CTE and call it BaseData. We also add an extra field called Seq, which uniquely identifies each row, we’ll use this later to enable us to rank the dimensions. We’ll then add a new CTE which calculated the number of records returned by the previous query. Next we cross join TotCount with the base data, so that every row has the extra RecCount field. We then rank each record, providing each with a unique number from 1 to n.
Each record now contains its row number, as well as the total number of rows, so it’s easy to calculate its position around the circle (rank/n * 360). Now we have that, calculating the x and y coordinates of each dimension is simply a case of applying Sine and Cosine. Note that the SQL SIN and COS functions expect angles to be provided in radians not degrees, so we have to use the RADIANS function to convert it for us. I’m also multiplying the result by 1000 to scale the numbers up from -1 to +1 to -1000 to +1000, which makes our life easier later on. We can now use the x and y coordinates to create a point indicating the position of each dimension, using the code below. This is a good start, but we want a polygon box, not a single point. We can use a similar geometry function to create a polygon around our point. You’ll notice that I’m multiplying the y axis by a @Stretch variable. This is to allow us to squash or squeeze the resulting star to make it look better in the report. I’m also using a @BoxSize variable which we can use to change the relative size of the boxes. It’s for this reason why I like to work on a -1000 to +1000 scale, it means we can have an integer box size of say 250 instead of a fraction such as 0.25, I just think it’s easier to read. So you’ll now have a stored proc similar to this. 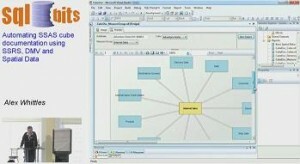 If you then execute this in Management Studio, you’ll notice an extra tab in the result window called Spatial Results. Click on the Spatial Results tab, then select Box as the spatial column, and you’ll see the boxes that we’ve created in a preview window. This is now getting somewhere close. But as well as the dimensions, we also want to show the measure group in the middle, as well as lines linking them together to actuallly create our star. We can do this by adding a couple more geometry functions to our query. We end up with the end of our proc looking like this. So, we’ve now got the polygons and lines being generated by the proc, it’s now time to add them into the report and display them to our users. Firstly open up the CubeDoc_MeasureGroup.rdl report, and go to the properties of the dsDimensions dataset. Click Refresh Fields and the new x, y, Posn, Box, Line and CenterBox fields should now be available. Then drag a Map from the toolbox onto the report. This will start the map wizard. 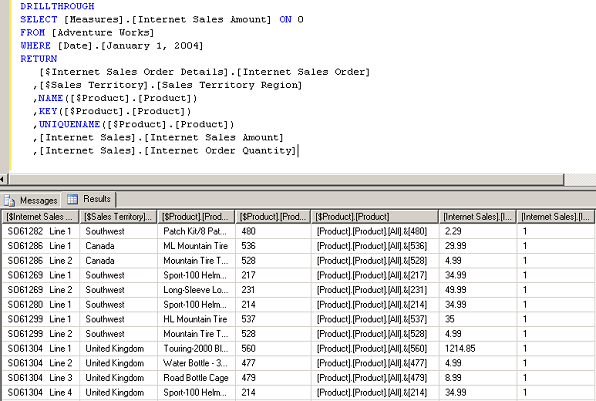 Select SQL Server Spatial Query as the source for the data and click Next. 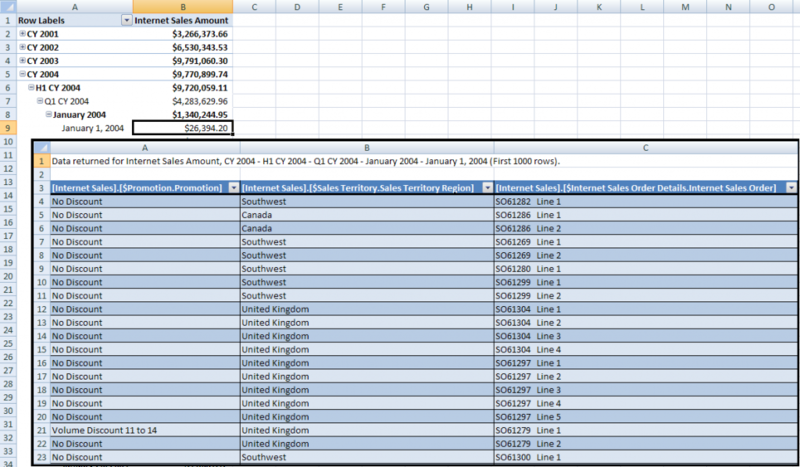 Choose dsDimensions as the dataset to use for the data and click Next. Choose Box as the spatial field, and Polygon as the layer type. It may well give you an error, just ignore it. Don’t select the embed map or Bing maps layer. Click Next, then select a basic map, select the default options for the remaining wizard stages and you’ll end up with a map in your report. If you preview the report at this stage you won’t see the polygons. This is because the map still thinks it’s a geographical map, and it is trying to draw our boxes as latitude and longitudes. We don’t want this, but want it to show them on our own scale. To fix this, just change the CoordinateSystem property of the map from Geographic to Planar. It still doesn’t look like a star but we’ve still got a few more changes to make. We need to add a couple more layers to the map, the center box for the measure group and then the lines to link them all together. Add a new polygon layer to the map and then set the layer data to use the CenterBox field from the dsDimensions dataset. Repeat the above, but with a new line layer instead of a polygon layer. Set the layer data to use the Line field of dsDimensions. To move the lines behind the boxes, just rearrange the order of the layers by using the blue arrows in the map layers window. We want the Lines layer to be at the bottom. Set the PolygonTemplate.BackgroundColour property of the CenterBox layer to Khaki, and the set the same property of the dimension box layer to LightBlue. Then set the PolygonTemplate.Label property of the CenterBox layer to the MeasureGroupCaption field, and set the ShowLabel property to True. If you don’t then SSRS will decide whether or not to show the label, we want it to always show. Set the PolygonTemplate.Label property of the Dimension layer to the DimensionCaption field, and set the ShowLabel property to True. You can then play around with font sizes, zoom, background colours, line widths etc. to get the effects that you want, but you’ll end up with a star schema visualisation similar to this. You can also configure actions for each layer. Using this you can hyperlink each dimension box to show the CubeDoc_Dimension report for the selected dimension etc, making the star schema interactive. This has been quite a fun blog post to investigate, I hope you can take something useful from it and have as much fun with it as I’ve had with it. Every demo that I’ve seen using spatial data has been using maps, hopefully this shows an alternative use beyond geographical mapping. In my previous post I described how to create a number of stored procedures that use Dynamic Management Views (DMVs) to return the metadata structure of an SSAS 2008 OLAP cube, including dimensions, attributes, measure groups, BUS matrix etc. You’ve read the part 1 post, and already have the stored procs in a database. If you haven’t read part 1, you can jump to it here. ﻿UPDATE: I presented a 1 hour session at SQLBits 8 covering this work, you can watch the video here. Firstly I create a basic template report which has an appropriate header, with date/time stamp, server name and logos etc. This means that all of the reports will have a common look and feel. I could of course make use of the new report parts in SSRS 2008 R2 for this, but to maintain compatibility with pre R2 I’ll keep it simple. The expression in the box on the top right is just to display today’s date in UK format dd/mm/yyyy. Create the first report (CubeDoc_Cubes.rdl) which will act as the entry screen and menu of cubes. All we have to do now is add a table and pull in the dataset fields that we want to see. We can then preview the report to test that it returns the right list of cubes. You should see something like this. Note that the AdventureWorks database doesn’t contain any descriptions, so you won’t see any in the report but they will be there when you add descriptions to your own cubes. The next report we’re going to write is the CubeDoc_Cube report, which will list the measure groups, dimensions and BUS matrix of a single cube. We’ll link the two reports together later on. Create a new report, using the template report you created earlier (select the template report in the solution explorer window, then CTRL+C then CTRL+V) and rename the new file as CubeDoc_Cube.rdl. Add a report parameter called @Catalog which should be Text. I’ve set mine to default to “Adventure Works DW 2008R2” to make testing easier. Add a dataset called dsCubes, and point it at the dbo.upCubeDocCubes proc, and link the @Catalog dataset parameter to the @Catalog report parameter. This dataset will query the available cubes for the selected catalog, and populate a new parameter which we’ll now create, called @Cube. This should also be a text parameter, but this time we’ll set the available values to those returned by the dsCubes dataset. If you want you can also set the default value of the parameter to the CUBE_NAME field of dsCubes. This parameter is not a multi value parameter, so by defaulting it to the dataset it will just default to the first record. We can now use @Catalog and @Cube parameters to query the available measure groups and dimensions. Set each of their @Catalog parameters to the report’s @Catalog parameter, and their @Cube parameters to the report’s @Cube parameter. Create two tables in the report, one for measure groups and one for dimensions. Drag in the fields that you want to see, and preview the report. You should see something like this. I’ve added a couple of textbox titles for good measure. This will either show an X if there is a regular relationship, or show an M or F if there’s a many to many or degenerate relationship respectively. To make it easier to read, I also like to set the background colour of the Data textbox to highlight the type of relationship further. It shows the concept, but it needs a little tidying up. 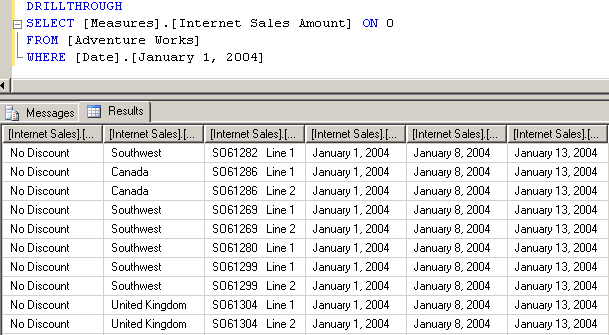 Centering the text in the data textbox helps, but we can also use a fantastic new feature in SSRS 2008 R2 to rotate the column titles. Simply set the WritingMode property in the Localization group to Rotate270, and then shrink the width of the column. I’ve also added a title, with a key, and level of row grouping using the DIMENSION_MASTER_NAME field, which groups role playing dimensions by their master dimension. It should now look something like this. That’s it for this report, so save it, then go back to the first report (CubeDoc_Cubes.rdl) and right click, properties on the [CUBE_NAME] textbox. Go to the action tab, and set the action to navigate to the CubeDoc_Cube report, passing through the CATALOG_NAME and CUBE_NAME fields from the dataset as the parameter values. This sets up a hyperlink from one report to the other, allowing users to navigate around the cube doc reports by clicking on what they want to know about. Link all appropriate textboxes (measure groups, dimensions, search etc.) to their relevant report using the report action, and hey presto – a fully automated, real time, self-documenting cube report. In the next and final installment of this series of blog posts, we’ll explore SQL 2008’s spatial data to generate an automated star schema visualisation to add that little something extra to the reports. There are some good tools out there such as BI Documenter, but I wanted a way of having more control over the output, and also automating it further so that you don’t have to run an overnight build of the documentation. I found a great article by Vincent Rainardi describing some DMVs (Dynamic Management Views) available in SQL 2008 which got me thinking, why not just build a number of SSRS reports calling these DMVs, which would then dynamically create the cube structure documentation in real time whenever the report rendered.. This post is the first in a 3 part set which will demonstrate how you can use these DMVs to automate the SSAS cube documentation and user guide. UPDATE: I presented a 1 hour session at SQLBits 8 covering all of this work, you can watch the video here. There’s a full list of DMVs available in SQL 2008 R2 on the msdn site. When querying DMVs we can use SQL style SELECT statements, but executed against the cube in a DMX window. This returns a dataset like any other SQL query. I’m therefore going to create a number of stored procs to wrap up this functionality, the SSRS reports can then just call the procs. Within BIDS, every item (cube, measure group, measure, dimension, attribute, hierarchy, KPI, etc.) has a description in the properties pane which is a multi-line free text property. These are exposed by the DMVs, so I’m going to make use of them and bring them out in the reports. This allows you to create the descriptions within BIDS as you’re developing the cube, meaning they’re version controlled and always in sync with the code. I should also point out that I’m using SQL Server 2008 R2. All of the queries below will work with SQL 2008, but I want to use the spatial report functionality of SSRS 2008 R2 to generate dynamic star schema visualisations, which is only supported in R2. In this post I’ll script out the stored procedures used as the basis of the documentation. In my next post I’ll put these into SSRS reports. Firstly we need to create our linked server. This script will create a linked server called CubeLinkedServer pointing to the Adventure Works DW 2008R2 OLAP database on the local server. You’ll have to set up the security according to your requirements. So now lets start creating the source procs. The first proc lists all of the cubes. The MDSCHEMA_CUBES DMV returns not only cubes, but also dimensions, I’m filtering it to only return cubes by specifying CUBE_SOURCE=1. The next proc returns all measure groups found within a specified cube. This next proc returns a list of measures within a specified measure group. The following proc queries all dimensions available within a specified cube. I’m filtering using the DIMENSION_IS_VISIBLE column to only show visible dimensions. Then we can query all available attributes within a dimension. This DMV returns a bitmask field (LEVEL_ORIGIN) which defines whether the attribute is a key, attribute or hierarchy. I’m using bitwise AND (&) to split this into three seperate fields for ease of use. I’m also filtering out invisible attributes, as well as those with a level of 0. Level 0 is the [All] member of any attribute, which we can ignore for this purpose. The next proc returns measure groups with their associated dimensions. We have to join two DMVs together in order to get the description columns of both the dimension and measure group. The next proc is similar to the above, but the opposite way around. It returns all dimensions that are related to a measure group. The next proc builds a BUS matrix, joining every dimension to its related measure groups. Later we’ll use the SSRS tablix control to pivot this into matrix form. Next, in order to make it easier for users to find items within the cube, I’ve created a searching proc which will scour a number of the DMVs for anything containing the search term. We can now use these procs to form the basis of a number of SSRS reports which will dynamically query the DMVs to generate the SSAS cube documentation. I’ll be covering this stage in my next post.